Taught by Heidi Grant Halvorson, Ph.D. Hear Heidi Grant Halvorson and Ben Dean talk about this class, what it will involve, what you will learn and how it differs from last summer’s class. (14 mins.) Click here to stream the audio or download an mp3 here. Heidi’s In Depth Interview (3/28/12). You can hear Heidi’s extraordinary 80-minute interview about her latest work, her newest book, and her upcoming class. Her Interview webpage, packed with information, is here. Link to To listen, click here for streaming audio or to download an mp3. NOTE: To hear Heidi talk about about her new class (that launches 4/11/12), go to 42:29 on her recording. Heidi’s 2011 Interview. You can hear Heidi’s extraordinary 80-minute interview with Ben on Friday, 5/20/11. To listen, click here for streaming audio or to download an mp3. Anyone looking to be more successful reaching their own goals, or interested in helping others to be more effective in reaching theirs. This course takes an in-depth look at our motivational mindsets – how the ways in which we think about our goals exert a profound influence, determining not only whether we ultimately succeed or fail, but also our emotional experiences, our coping strategies, and our sense of satisfaction and well-being. Specifically, we’ll look at the causes and consequences of focusing on Being Good vs. Getting Better, and of focusing on what there is to gain (Promotion) vs. trying to avoid loss (Prevention). You’ll learn to recognize each mindset, to understand where they come from, to capitalize on their strengths and anticipate their weaknesses. Perhaps most importantly, you’ll discover how to shift mindsets when necessary in order to achieve greater success, well-being, and motivational balance. This science-based approach to understanding and changing mindsets will be useful to coaches, counselors, therapists, managers, leaders, parents, and anyone else concerned with showing others how to reach their fullest potential and greatest well being. In this course, you will learn strategies that will not only empower you to help others, but will also enable you to more effectively reach your own personal and professional goals. Week 2: The origins of Being Good and Getting Better – why do we adopt one mindset or the other? Week 5: Mindsets: Promotion vs. Prevention Do you want to go for gains or avoid losses? Do you want to be loved or feel safe? An overview of these two (opposite) motivational styles. You’ll be knowledgeable about the latest, most cutting-edge research in one of the most exciting areas of psychology: motivation science. This is expertise that is in demand in organizations across the country and around the world. You’ll learn how our mindsets influence everything we do: how they provide a lens through which we interpret our difficulties and our successes. You’ll learn how to recognize particular mindsets in yourself and others, providing a starting place for diagnosing strengths and weaknesses, and creating a plan of treatment or a course of action. You’ll understand why not every strategy is effective for everyone, why some strategies feel right while others don’t, and how to identify what will work best for you and for those you are trying to help as a function of their mindset. You’ll learn how to shift mindsets, and how to help others shift their own, through feedback, situation framing, and interventions that address the core beliefs underlying each mindset. For CEU information, see #12 below. 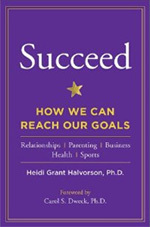 The course entails readings from one primary text–Heidi Grant Halvorson’s Succeed: How We Can Reach Our Goals (Hudson Street Press). In addition, each week Heidi will post relevant research articles, videos, and blog entries for the next week on the class’ password-protected website. 8. What People Say About Heidi. In the summer of 2011, Heidi taught an extraordinary MentorCoach Master Class: Becoming an Artist with Goals. Students loved it. One of our senior faculty members said it was the best MentorCoach class she’d ever taken. Heidi has a brilliant and deep understanding of the research and practice in motivation research and goal attainment. She knows all the key researchers in the field. She’s a superb lecturer. And she stayed highly involved with the class. Even now, more than six months since the class ended, Heidi is still active on the continuing class list serv. There will be a password-protected class web site. In advance of each session, we’ll post Heidi’s power points for the next class in multiple formats. We’ll also post Heidi’s special lecture notes in advance of each class, relevant articles and blog entries. And after each session, you’ll be able to listen online or to download a digital recording of that class to your computer and MP3 player (eg your iPod). Thus, when you have a conflict with a particular class, you’ll have the recording, power points, and reading and you won’t miss a thing. For the Authentic Happiness Coaching™ Program, some students had ongoing conflicts and listened to the entire class by recording. We anticipate that a number of Heidi’s students in this class–for example, those living in Australia–will experience the class entirely by recording, still emailing in questions to Heidi between classes. Yes. Counts eight (8) hours toward MentorCoach® and International Coach Federation Certification. Again, to receive credit for certification, students must be counted present for seven of the eight classes. Attendance at the actual class is documented by the student emailing in two one-word clues that are given out during the class; they must be emailed in within 24 hours of the class ending. Listening to the class by recording does not count toward the attendance requirement for certification. Graduates of this class will be able to earn eight hours of CEUs for social workers (NASW) and Marriage and Family Therapists in California (BBS). The CEU administration fee is $75. To receive credit for CEUs, students must pay the CEU fee and be present for seven of the eight classes. Attendance at the actual class is documented by the student emailing in two one-word clues that are given out during the class; they must be emailed in within 24 hours of the class ending. Listening to the class by recording does not count toward the attendance requirement for receiving CEUs. 13. ICF Coach Continuing Education. This class meets the criteria for eight (8) hours of Continuing Coach Education with the International Coach Federation. There is no charge for this at registration. Many students will listen to the lectures by recording at their leisure. We applaud and support this practice. We know one well-known Australian professor who used to end his week by listening to Chris Peterson’s lectures by recording on Friday evenings, drinking white wine and reclining in his hot tub! However, to receive credit for CEUs, credit toward MentorCoach Certification, ICF CCEs, or to receive a Certificate of Completion, students must be present for seven of the eight classes. Attendance at the actual class is documented by the student emailing in two one-word clues that are given out during the class; they must be emailed in within 24 hours of the class ending. Again, listening to the class by recording does not count toward the attendance requirement for receiving CEUs, credit toward MentorCoach Certification, ICF CCEs, or to receive a Class Certificate of Completion. Enrollment will be capped and the class will be filled on a first-come, first-served basis. You may withdraw your registration at any time before the beginning of the second one hour class on April 18, 2012 and receive a full refund. You are responsible for the full tuition amount if you do not withdraw before the beginning of the second class. 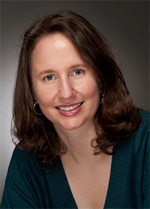 Heidi Grant Halvorson, Ph.D., is a social psychologist, consultant, and rising star in the field of motivational science. She is the Associate Director of the Motivation Science Center at the Columbia University Business School and has conducted research with the world’s leading figures in goal attainment. In this interview, she will talk about the most important strategies for goal attainment and the things highly successful people do differently. She writes weekly as an Expert Blogger for Fast Company, The Huffington Post, and Psychology Today, and is a regular contributor to the BBC World Service’s Business Daily, the Harvard Business Review, and SmartBrief’s SmartBlog on Leadership. Her writing has also been featured on CNN Living and Mamapedia. Heidi’s most recent book, Nine Things Successful People Do Differently, is in the form of a Harvard Business Review eSingle, She highlights strategies commonly used by truly successful people, including setting highly specific goals, seizing the moment to act on them, gauging just how far away the goal is, adopting the best attitude, focus and outlook for the process, and building willpower and determination that fuel achievement.